Not just a bar but a destination, not just a lounge but an elegant and versatile concept. 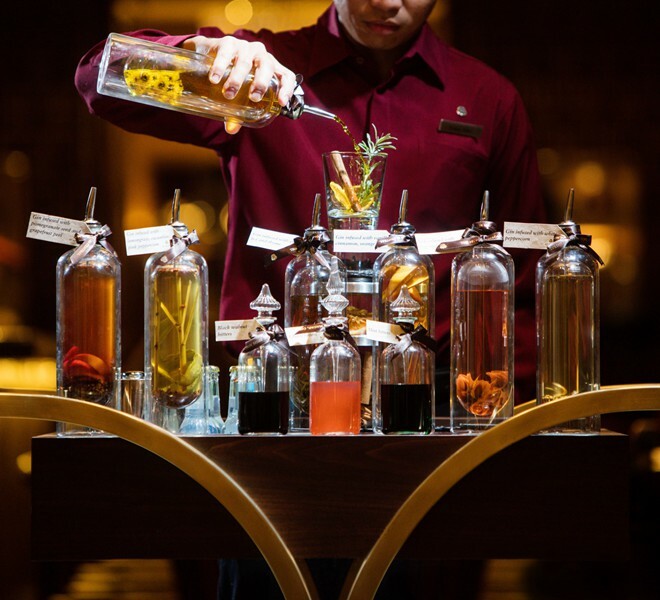 The St. Regis Macao presents guests with three distinct areas affording an experience unique to the Cotai Strip. This is where trends will be set, oldies will be revisited and the allure of a crafted experience becomes key. Start spreading the news as we go back to our New York roots. Introducing swinging weekends that celebrate the city that doesn’t sleep, with live jazz and a big bite of the Big Apple. From Oysters Rockefeller to bagel sliders, modern martinis to the classic Old Fashioned, New York comes to life at The St. Regis Bar. Begin the infusion of day to night with free-flowing house-infused gins, a fine selection of wines, beers and tailored cocktails, followed by an elevated offer of small bites. 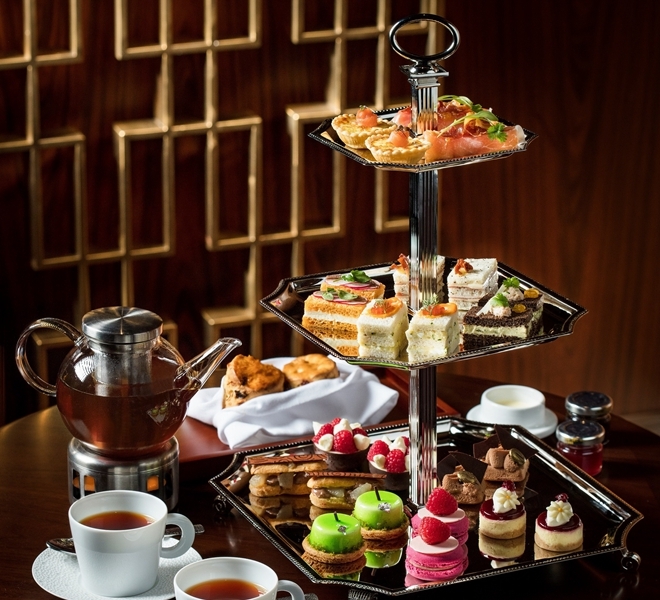 Indulge in the art of afternoon tea at the city’s finest address. At The St. Regis Bar we designed our wine flights to offer a custom range of selection to sample the iconic varieties from different regions. A great opportunity to compare, contrast and discover new favorites. 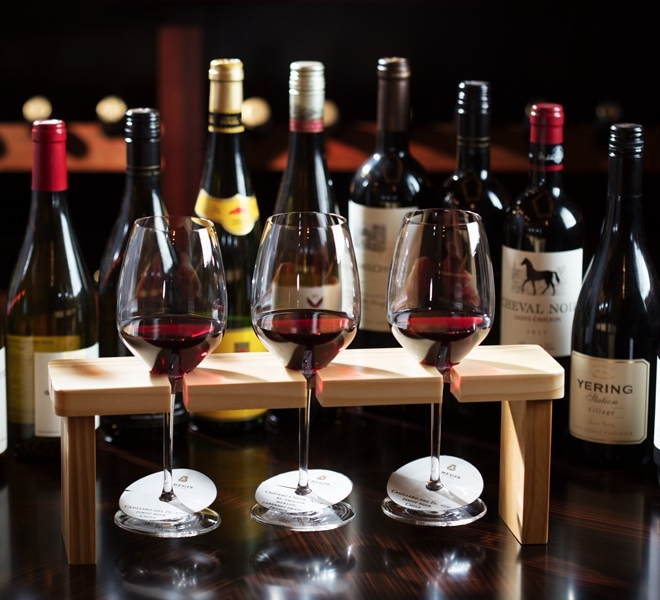 Explore the new and old world together in comfort with our flights of 3 glasses of red or white. The St. Regis Bar – breaks away from the traditional lobby lounge or hotel bar experience with cosmopolitan, high-end concoctions. Decanter – complements The St. Regis Bar and The Manor with our Sommeliers’ enclave of the world’s rarest vintages and handpicked labels. The Vault – offers an intimate, secluded environment for guests to experience our mixologists’ savoir-faire.